Feb 12: Watching Aaron Cendan play a video game is like watching someone type. Instead of using a controller with joysticks, Cendan’s fingers furiously click an array of buttons on one of his own custom creations. It looks like a rectangular box with buttons that allows him to perform every move needed in a game. 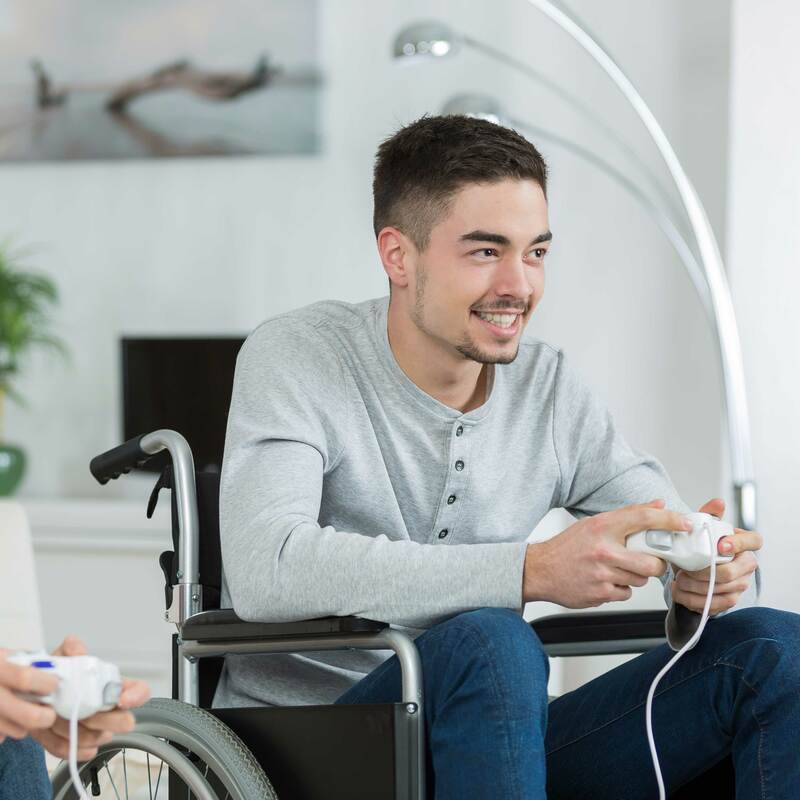 Cendan says about half of his clients are gamers with disabilities who need a way to play their favorite games. The design process starts when Cendan gets clients to send a diagram of where their fingers touch the faceplate. Then he drills the button holes using that design and builds the rest of the controller using wood, circuit boards and a polycarbonate faceplate. A contract artist working in Brazil creates custom artwork based on the client’s wishes. Each controller takes 8-12 hours to make.